Applicable for conveying of packed products in boxes / bags or on trays / containers (for bulk cargo, smaller or irregular shaped products). It is suitable for large weight of unit product or bearing higher impact load. 1. Simple structure. 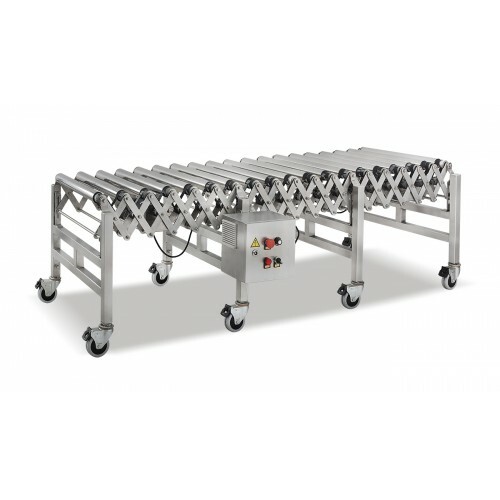 Stable conveying with features like simple maintenance, economic and energy saving. 2. Considerable capacity, fast speed and smooth operation to achieve sharing of common distributary conveyance for various types of products. 3. 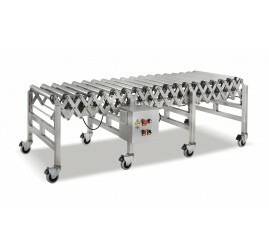 Conveyor length is adjustable per production space. 4. Simple maintenance, easy disassembly and convenient for cleaning.